POSITIVO ESPRESSO: Wada in Winter ... and the Women of Jimba Kaido! Today was a balmy late-January day. I had to get some work out of the way before heading out, and did not leave home until after 11AM. 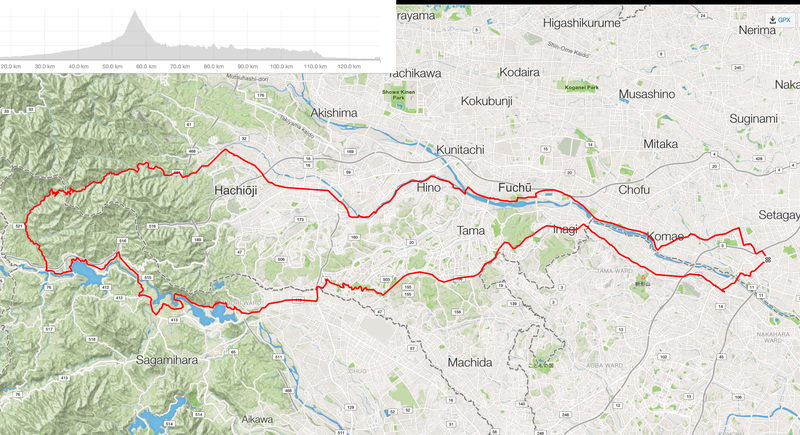 Still, I was determined to get in a decent ride as I cannot ride next weekend, and I've got the Yakushima hill climb coming up next month. 130 kms and 1700 meters of elevation gain (if you believe RidewithGPS and Strava). I hopped on the Renovo, my most "fun to ride" bike for longer distances. The ride qualities of the wood frame, the DI2 shifting, hydraulic disk brakes, and tubeless Schwalbe 1 tires on wide rimmed Velocity Aileron rims ... makes it one sweet ride. 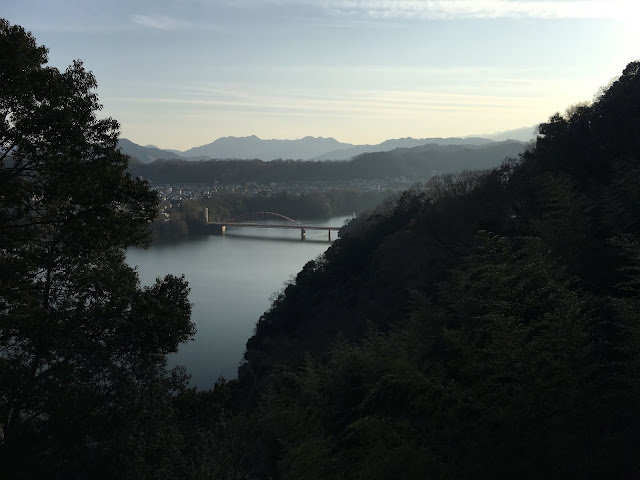 I headed for Hachioij, then onto Jimba Kaido toward the hills. 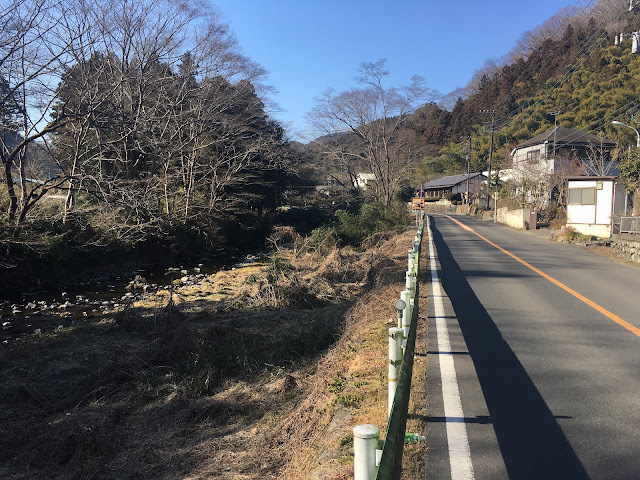 I realized that it has been a LONG time since I have gone the main road up Wada. 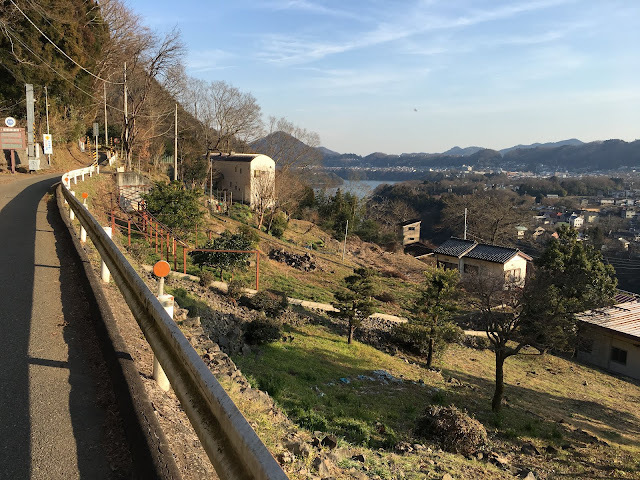 Too much traffic, and shorter (if steeper) than the Daigo Rindo alternative (which is plenty steep, and actually climbs 35-40 meters higher, to boot). 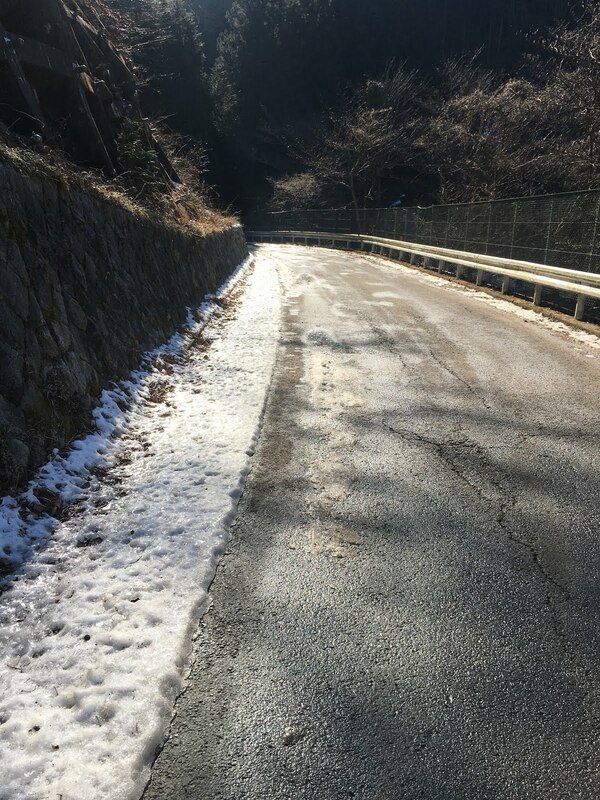 Today, I thought there would not be much traffic, mid-winter, and I was a bit worried about debris and perhaps ice on the rindo, so I decided to go straight up Jimba Kaido. On the approach, I was not disappointed. The weather was spectacular and there was almost no traffic. As I turned left and headed the last stretch toward the base of the steep climb, a touring rider darted out of a pulloff. He was fully loaded and young. 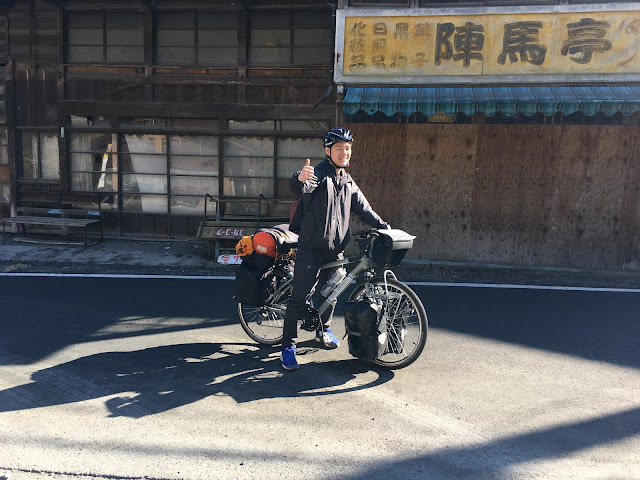 I figured he must be a college student (final exams just ended, and only students, homeless people, crazy foreigners and a few Audax riders do that kind of thing in winter. I asked him where he was headed. "Kobe". Impressive. "Nairiku route?" "Yes!" Just like Jerome, but he looked as if he were planning to spend at least a week on the ride. 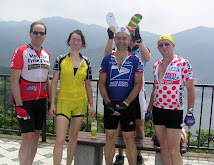 I got a photo later as I took a rest at the bus stop before the climb. I realized as I headed toward the stretch to the base of the climb that I had not seen the Women of Jimba Kaido in a long time. Were they still there? Still unclothed? Did they miss me? Or had someone else taken them away. 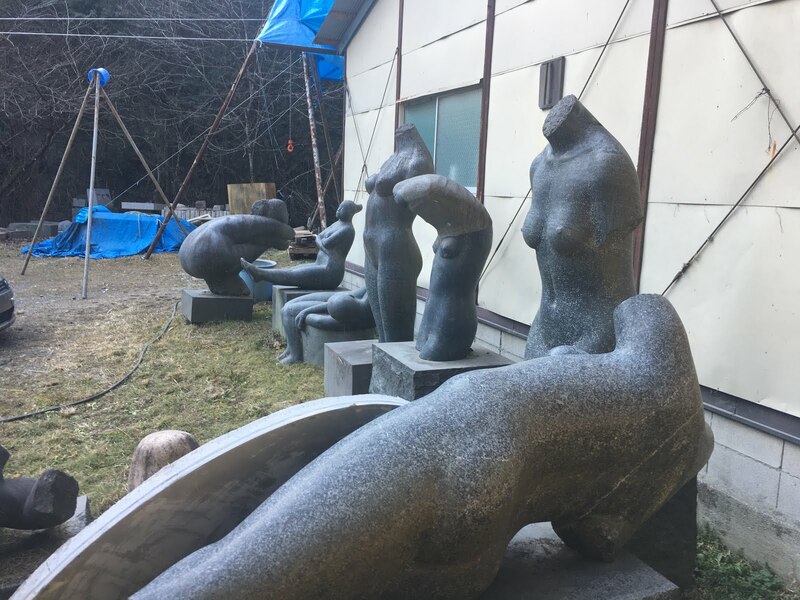 I was delighted to see that the Women were still outside, unclothed and beautiful. But there clearly had been activity. I think a major change in the troupe--fewer massive reclining bodies and more diversity. Still plenty of headless bodies though! One on the far side of the group was a bit demure, facing away from me. 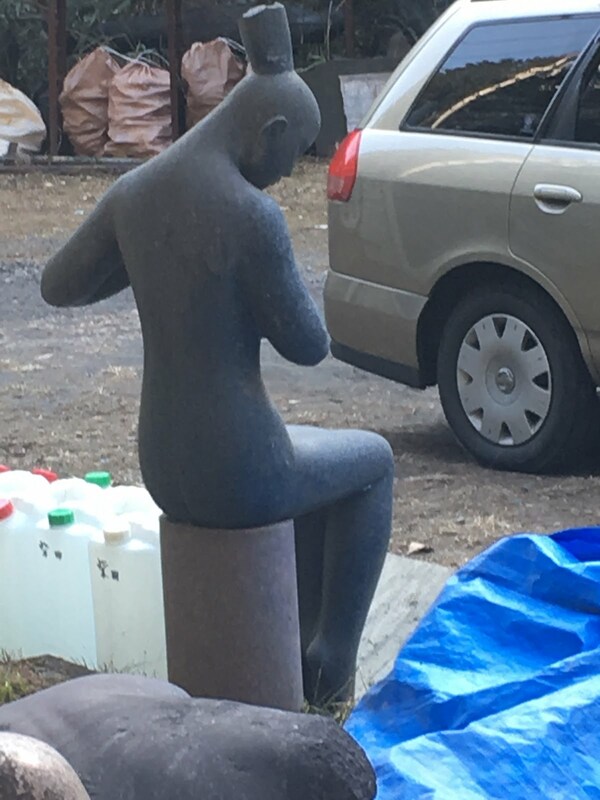 For the first time ever, I could hear the sculptor at work, even see him through an open window along the road. Anyway, I did the climb slowly, and needed to get off the bike twice because of traffic -- once when a cyclist coming down tried to go around me on my left/his right, and I needed to put a foot down and walk a few meters to somewhere with enough room to remount and lock in, cursing him for not passing on the left. Then there was the classic traffic jam -- Honda Odyssey going up and similar car trying to come down. They were facing off each other and the Honda was starting to back down, but there was not room for me to ride by, so I dismounted and walked around both cars. Next time I will take the rindo. Some snow near the top, but not much! 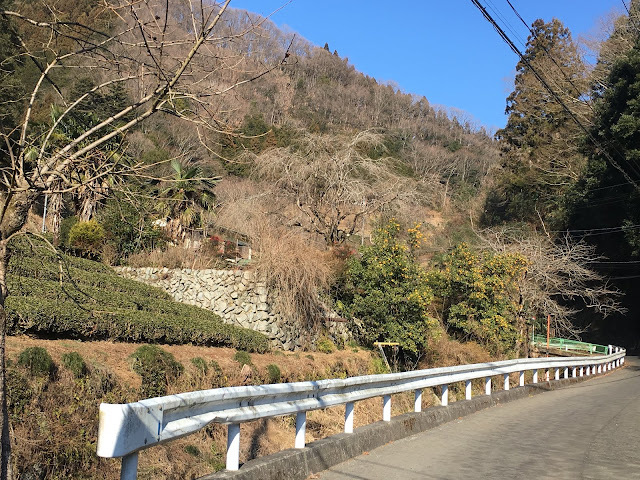 Mikan, Palm Trees, and Tea Bushes! At the top it was warm enough to chat with an American named Jim who said he was in Japan in the 1990s and came back recently, is riding with Half Fast, and came up the Ura Wada climb. Eventually his riding partner Andre (riding a GS Astuto carbon frame bike) appeared. I headed down to the west since my sweat was starting to get cold from chatting at 700 meters elevation. The west side was great, a beautiful valley as usual, no traffic, only a bit of slush and ice near the top--but always a clear path through on dry pavement. 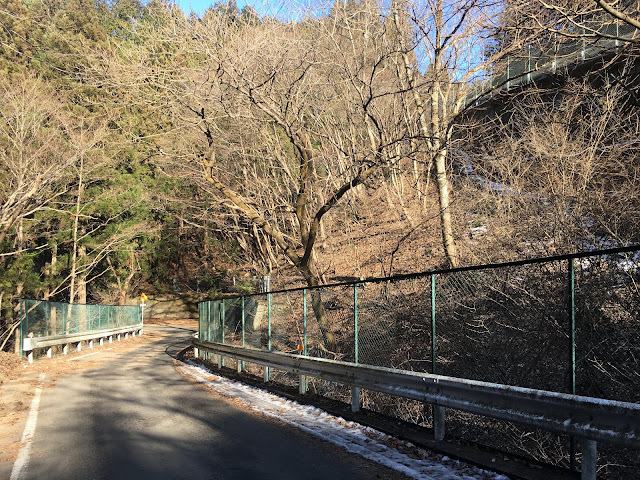 I had forgotten that getting from the west side of Wada to Fujino does include one short climb. Then I was on Route 20. Instead of continuing over Otarumi, I headed SE and took the high forest road on the North side of Lake Tsukui. Tsukui field -- I have photos all seasons. But this does not look quite like I remember previous winters. 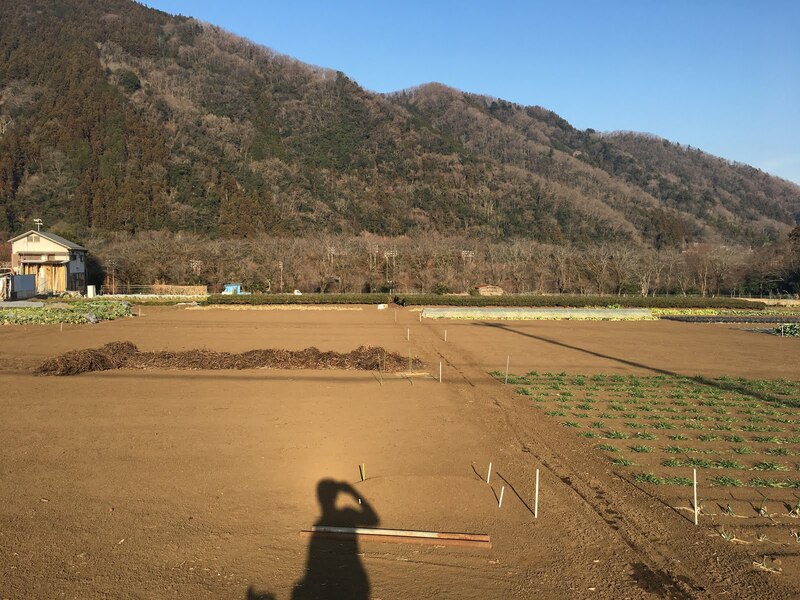 On the north side of Tsukui. Just beautiful today. I took the Tank Road and Onekansen Doro. Uneventful, but at least I still felt okay, not pushing too hard. At Yanokuchi I decided I would take the Kawasaki side and stop by C Speed. A group of 7-8 sharply dressed Japanese road cyclists was heading out from the Yanokuchi Lawson as I passed. I ended up in the middle of their group. 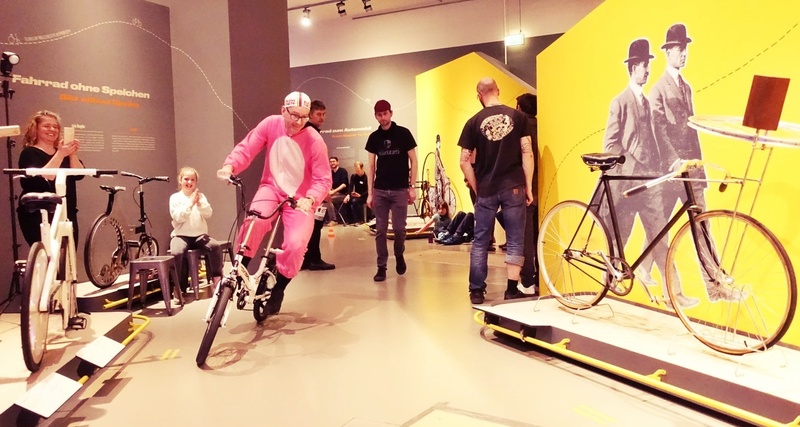 It was a "Rapha" ride. 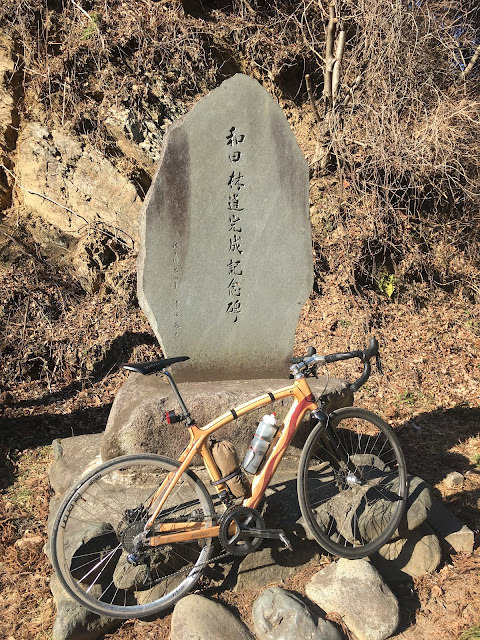 Anyway, it was nice to ride with a group for a change, stop by C Speed to see Hiroshi, and then head home, finally in the dark, but not an issue for the Renovo with its SD-8 dynamo hub and front/rear lighting! January has been a good start to the cycling year, especially in comparison with the past two years!